If you have not received your card yet, don’t worry. You will receive it at your next 6 month dental visit. If you loose your card, don’t worry either. You can stop by and get a new card for only 3 points. Remember, you can get points for being on time to your appointments, for having no cavities, even for having A’s on your report card! Then you can redeem those points online for FUN gift cards. We love to give recognition to our new friends. Here are the new patients that became members of our practice family this past April. We’d like to welcome you publicly & wish you all the best. 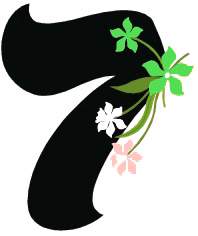 Melissa Alvidrez, Caitlin Barnett, Zoe Buell, Jaylen Butler, Brandon Calderon, Gianna M. & Sophia Castro, Dylan Colbert, Christine & Justin Dang, Arthur De Jong III, Nicole Diaz, Joseph Drake, James Fernandez, Wiley D. Gilman, Sergio Gonzalez Jr., Aury & Parker Greenfield, Alexandra Hall, Madelaine Heenan, Maya James, Louella Kingman, Lianna Lafayette, Derek Lansang, Matthew Leer, Natalie Lezama, Christopher Logan, Briana & Emma & Herlen Lopez, Jake & Sierra Lund, Ben Luu, London Mancilla, Jake Marshall, Emily & Natalie Medrano, Andres Mendoza, Kynlee Merriman, James Morrison, Aidan Napohaku, Dean Ngo, Lupe Paz Jr., Reyna Rivera, Rilee Sanchez, Avian Sanford, Matthew & Tyler Schafer, Wade Schoelen, Bradley Swanson, Maya Talberg, Danny Thao, Emily & Jake Van Horsen, Rori Wilfong, Carleigh Rios, Matthew Barrientos, Cassandra & Dylan Evitts, Olivia Tostado, Harpor Hogan, Brooklee & Marlee Murrell, Sebastian & Christian Robeto, Ryan Bancroft, Sophie Morrison, Juliet Daly, Aldo Briseno, Camila N. Lizarraga, Lili Noskul, and Pallavy Noeun. Our goal is to help your child have the best possible oral health for a lifetime. For some parents, only the high cost of repair is a motivator to adopt preventive habits. They know that the longer they wait, the more dental repairs will cost. Decay in one tooth, if left untreated, will spread. Instead of one filling, your child will likely need a crown, increasing the cost by more than three times. 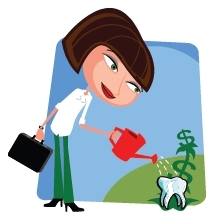 Further delays could result in a baby root canal treatment– even more expense! The early stages of gum disease are easy to treat with dental intervention and good home care. Without these therapies, it can result in tooth loss. It is never too late to start a preventive oral health family program at home. Remember…prevention is the best investment! 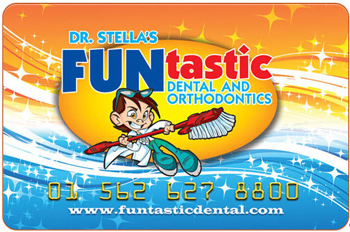 Call Today to schedule your child’s six month dental visit or dental treatment visit! In the past, orthodontic treatment was often postponed until the adolescent years, when all the permanent teeth arrived. We now know that many orthodontic problems can be treated earlier by working with the growth that takes place in younger children. The American Association of Orthodontists recommends that every child have an orthodontic evaluation “no later than age 7”. An early examination allows us to monitor a child’s dental development to determine the ideal time to start. Early detection can reduce the need for removal of permanent teeth and often allows correction of jaw growth imbalances that would not be possible later. Most patients start treatment between the ages of 8 and 14 because they are eager to begin braces or Invisalign teen and are more enthusiastic and cooperative. In many cases, positive orthodontic results can be achieved which would not otherwise be possible if their face and jaws had finished growing. After Reading THIS, you’ll NEVER look at a banana in the same way again! Containing three natural sugars – sucrose, fructose and glucose combined with fiber, a banana gives an instant, sustained and substantial boost of energy. Research has proven that just two bananas provide enough energy for a strenuous 90-minute workout. No wonder the banana is the number one fruit with the world’s leading athletes. But energy isn’t the only way a banana can help us keep fit. It can also help overcome or prevent a substantial number of illnesses and conditions, making it a must to add to our daily diet. *Depression: According to a recent survey undertaken by MIND amongst people suffering from depression, many felt much better after eating a banana. This is because bananas contain tryptophan, a type of protein that the body converts into serotonin, known to make you relax, improve your mood and generally make you feel happier. *PMS: Forget the pills — eat a banana. The vitamin B6 it contains regulates blood glucose levels, which can affect your mood. *Anemia: High in iron, bananas can stimulate the production of hemoglobin in the blood and so helps in cases of anemia. *Blood Pressure: This unique tropical fruit is extremely high in potassium yet low in salt, making it the perfect way to beat blood pressure. So much so, the US Food and Drug Administration has just allowed the banana industry to make official claims for the fruit’s ability to reduce the risk of blood pressure and stroke. *Brain Power: 200 students at a Twickenham (Middlesex) school were helped through their exams this year by eating bananas at breakfast, break, and lunch in a bid to boost their brain power. Research has shown that the potassium-packed fruit can assist learning by making pupils more alert. *Constipation: High in fiber, including bananas in the diet can help restore normal bowel action, helping to overcome the problem without resorting to laxatives. *Hangovers: One of the quickest ways of curing a hangover is to make a banana milkshake, sweetened with honey. The banana calms the stomach and, with the help of the honey, builds up depleted blood sugar levels, while the milk soothes and re-hydrates your system. *Heartburn: Bananas have a natural antacid effect in the body, so if you suffer from heartburn, try eating a banana for soothing relief. *Morning Sickness: Snacking on bananas between meals helps to keep blood sugar levels up and avoid morning sickness. *Mosquito bites: Before reaching for the insect bite cream, try rubbing the affected area with the inside of a banana skin. Many people find it amazingly successful at reducing swelling and irritation. *Nerves: Bananas are high in B vitamins that help calm the nervous system. *Ulcers: The banana is used as the dietary food against intestinal disorders because of its soft texture and smoothness. It is the only raw fruit that can be eaten without distress in over-chronicler cases. It also neutralizes over-acidity and reduces irritation by coating the lining of the stomach. *Smoking: Bananas can also help people trying to give up smoking. The B6, B12 they contain, as well as the potassium and magnesium found in them, help the body recover from the effects of nicotine withdrawal. *Stress: Potassium is a vital mineral, which helps normalize the heartbeat, sends oxygen to the brain and regulates your body’s water balance. When we are stressed, our metabolic rate rises, thereby reducing our potassium levels. These can be rebalanced with the help of a high-potassium banana snack. *Strokes: According to research in “The New England Journal of Medicine,” eating bananas as part of a regular diet can cut the risk of death by strokes by as much as 40%!